Report: Google to buy Valve? [UPDATE: Valve has now responded to this story. Valve's PR man, Doug Lombardi told MTV that it's a "complete fabrication" while the official word from the higher-ups is that it's "just a rumour". Rumours are flying around the blogosphere that Google is buying Half-Life makers Valve – and the 15 million registered gamers that use the Steam content delivery system. Valve rose to prominence with Half-Life – one of the greatest PC games of all time – and the success of 'mod' Counter Strike. Half Life 2 became another massive hit across several platforms, and also helped popularise the Steam delivery system, that allows patches and even full games to be bought on the internet, missing out the normal distribution chains. Steam is now far and away the most accepted online distribution method for the PC, and the company has a massive fanbase that is spilling over onto other platforms after releases of Valve games on Xbox 360 and PlayStation 3. 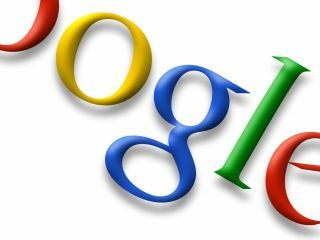 It does indeed make an enticing package for other major companies, but the links to Google are likely to surprise many. On the face of things both Valve and Google are young much-appreciated companies which have been massively successful in their sectors. Google has not involved itself in gaming thus far in any major way, but Steam is something that would appear to offer the company something closer to its heart. "The rumours that Google will bid for Valve certainly sound plausible: Steam is the highest-profile digital delivery system that exists in the games world, and it's obvious that Google, in its eagerness to achieve even greater dominance of the Internet, would find that attractive," says freelance games journalist, Steve Boxer. "Predicting what it might do to the development and engine technology side of Valve is somewhat trickier, though. Although Valve, as a developer, would surely love to have Google's financial muscle behind it." TechRadar contacted Google for comment and we were told that the company does not comment on rumour or speculation.